All the best cleaning tips to shine your sink and soothe your soul. Discover how to transform your home. Cleaning doesn't have to be that job you dread. Not when Mrs Hinch is here to show you her sparkly ways! 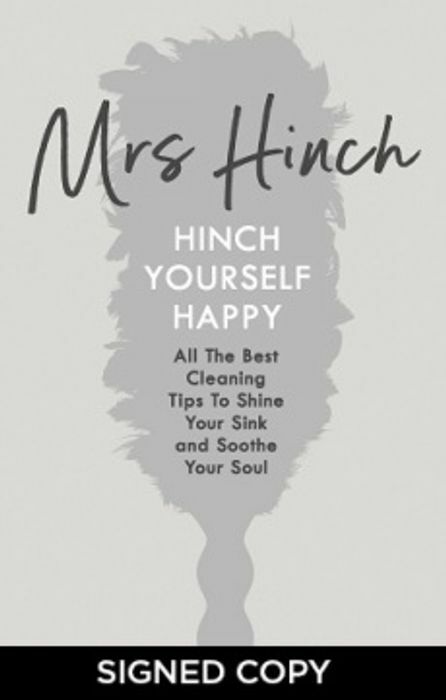 Mrs Hinch has taken the nation by storm with her infectiously addictive charm, clever cleaning hacks and her passionate belief in the life-changing magic of tidying. With the help of her cloth family, Mrs Hinch will help you turn your house into a home. Whether you're a daily duster or looking for a monthly makeover, HINCH YOURSELF HAPPY shows you how to create not only a cleaner house, but a calmer you. If you want your kitchen to sparkle like Meghan Markle, then this is the book for you.